Covenant - a film review. This is the third Ridley Scott instalment for this franchise. 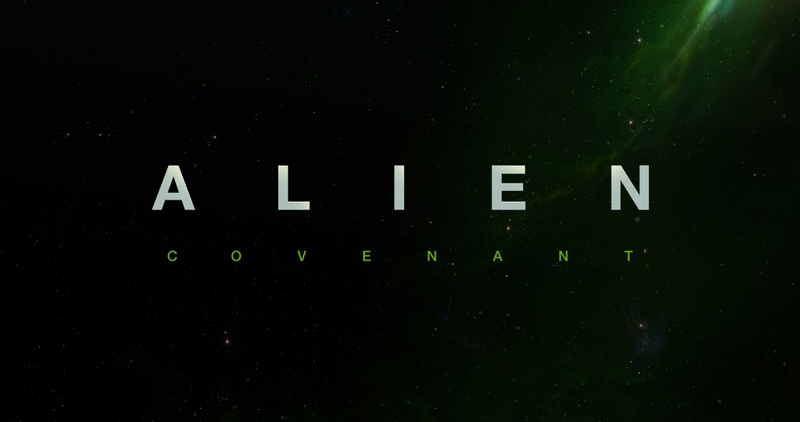 It is more like a sequel or adjoining film to Prometheus rather than to Alien, it is more of a talky movie than action. However, the gore side of things is much more on point with the original though at times it is still lacking. The year is 2109 and USCSS Covenant and its crew complete with two thousand colonists are on their way to begin a new colony on the planet Origae-6. As they go on their way however, there is what appears to be a transmission sent up from a nearby yet equally habitable planet. Of course, as is normal in the movie world, the crew decides to have a closer look. A lone member of the crew player by Katherine Waterston voices concerns but again, as is the norm in a horror, she is ignored and overruled. Soon though, the crew meets David, played by Michael Fassbender, a crewmember of the Prometheus and it is at this point that fears start to surface. Unlike Prometheus though, this film is full of suspense and brings back those gory horror moments a plenty. From a stomach churning drop down to the planet, the iconic running through dark spaceship hallways, dripping water, creepy eggs, the Facehuggers and of course the full-blown Xenomorphs themselves, it is like the old times. In addition to this are the newly added Neomorphs, the more agile cousins to the original Xenomorphs. Whilst the action does at times sprint along, it still falls rather short of the original. A somewhat nondescript set of crewmembers doesn’t help. Viewers need to care what happens to the people in the film otherwise it is all for naught. In fact Danny McBride’s Cowboy hat wearing crewmember is probably the only one that really makes any impact. In fact it is the two synthetic robot type characters that make the most impact rather than their human counterparts. An improvement on his last instalment Prometheus, Ridley Scott is still unable to recapture the magic or rather the horror of his original. With a rather bland set of crewmembers and toned down violence and scares, it still falls short on reaching the full expectation desired by fans. There are a few laughs however, sprinkled throughout, a definite improvement on the dour Prometheus but at the end of the day an Alien movie is about the action, Scott just can’t quite deliver it this time.